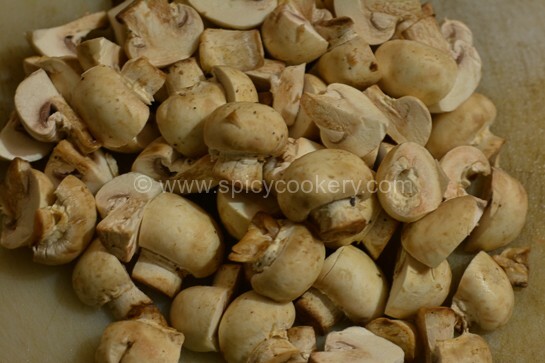 Chilli Mushroom(Dry), is delicious Indian recipe served as a starter or a side dish for lunch or dinner. Chopped Coriander leaves/ cliantro for garnishing. Cut the mushroom top to bottom into 4pieces so that shape of mushroom doesn’t change. Heat oil in a kadai. Add sliced onion and fry on medium flame till the onion turns slight brown in color. Now add chili powder, turmeric powder, pepper powder, garam masala powder and salt as per taste. Stir for 2mins in low flame. 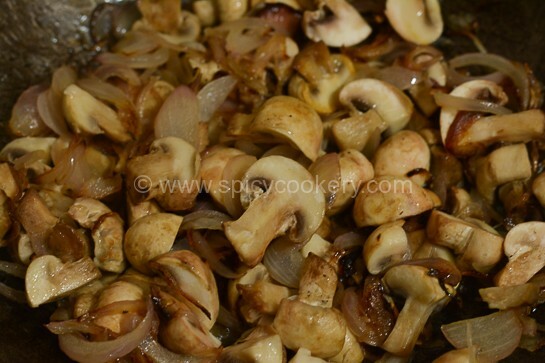 Add the chopped mushrooms and stir it nicely so that all masalas are properly combined with mushroom. 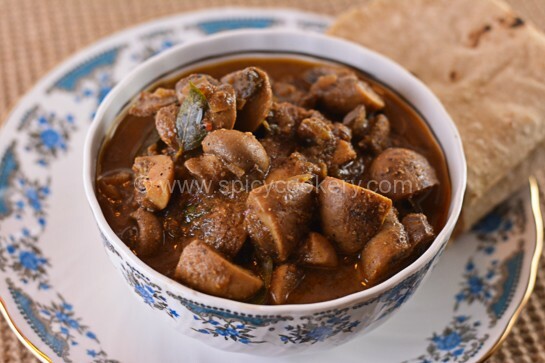 Close kadai with a lid and cook the mushroom in low flame for 7 to 8mins. Garnish with cilantro or coriander leaves. 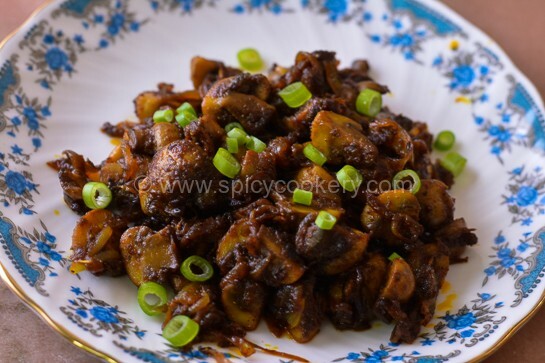 Chilli Mushroom is ready to serve as a starter or else a side dish for lunch or dinner. 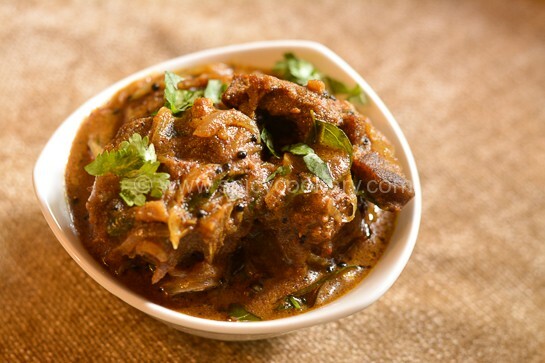 A delicious Indian recipe served as a starter or a side dish for lunch or dinner.